Another 11th of February has come. 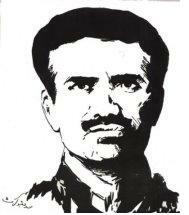 A citizen of Kashmir, in whatever part of the world he is, remembers Maqbool Bhat, the martyr, on this day. 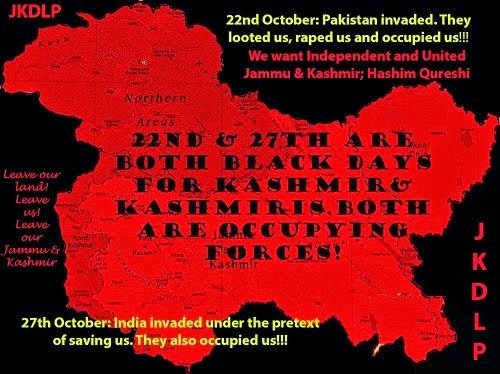 This is the day on which Maqbool Bhat attained martyrdom by ascending the steps to the gallows of the Indian government. 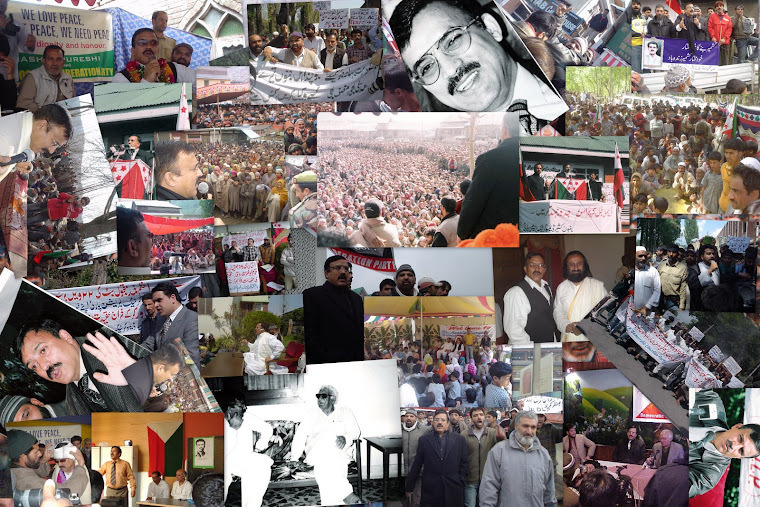 It brought him immortality as he paved the way for the freedom of Kashmiri nation. People will copiously read and write on his political philosophy. Much has already been written. As a friend of humanity, a brother, a student and a politician, he had reached the pinnacle of glory. Yet he was extremely patient, unassuming and affectionate person. He accepted life as it came. He never allowed human desires to have better part of him. This was because he was always engrossed in the thoughts of freedom of the State. I am reminded of an incident in Kot Lakhpat prison. We were sent to the prison in connection with Ganga hijacking case. Three out of six of us were given B Class. Bhat Sahib, Ashraf Qureshi and I were put in C Class. We lived together in a big cell. It was December-January of 1972. We were not given adequate number of blankets as was allowed to the convicts. Moreover the blankets were old and worn out. I was only 18 years old and Ashraf was two years elder to me. Being very young, we used to become sentimental. We would complain of cold. We asked the jail authorities several times to provide us with more blankets to protect ourselves from cold but to no avail. 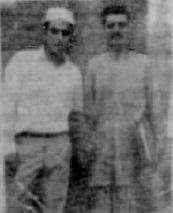 Once being taken out from the prison to the Special Court, Bhat Sahib happened to meet the Deputy Superintendent of the jail on the gate. I still remember what he talked to the jail officer. “Don’t you think that we are human beings? Don’t you think that we the prisoners also feel cold or hunger or heat? For three days we have been asking you for blankets to save ourselves from cold but our request have fallen on deaf ears. I have two young boys with me”. But the tone and tenor of Bhat Sahib in his conversation with the Deputy Superintended of the jail was markedly different from what his usual tone used to be. His face had turned red with anger. Talking to the jailor he had thundered,” Don’t think that by putting us in the jail you have made us prisoners. Remember that wherever we are standing, that place and that land get liberated.” Having said this, we headed towards the Special Court. He assured us that there would be more blankets than what they needed that very night. On our return we found that instead of three, fifteen blankets were placed in our cell. We distributed extra blankets among other prisoners who needed these. In the cell, we three would prepare our response to the charges brought against us in the court. Bhat Sahib prepared his statement recording the event of his flight from Srinagar jail. 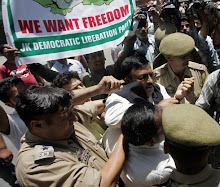 He had also made a hardboard model of Srinagar jail which he later on produced in the court of law for explaining how he had run away from Srinagar jail. We read as many newspapers as we could while interned in that cell. Sometimes we would stray into the B Class cell of other three comrades, namely G.M. Lone, Mir Qayyum and Mir Manan, and listened to radio news. He had many more Kashmiri songs that carried the spirit of patriotism and the sentiment of freedom.He would also tell us about major freedom movements in the world. Ashraf and I were just 20 and 18 years old. Even today students in our traditional educational institutions are far away from history, geography and current affairs of the world. What was the condition of general knowledge among students 42 years ago when there was no computer and no internet is what you can imagine? Therefore Bhat Sahib’s words, his knowledge, his philosophy, his mastery on Quran, hadith and Islamic history all were not within our comprehension. I recollect that my late father used to get an Urdu journal titled Soviet Union. I rarely made any attempt to go through its pages. But Bhat Sahib would speak about leftist movements in Russia, China, Korea and also the Vietnam War that was raging at that time. He was almost a walking encyclopedia on these subjects. He could vividly describe the 1870 and 1880 struggle of Silk Factory workers in Srinagar, the democratic struggle of 1931 against the rule of the Maharaja, the attack of the tribesmen in 1947, and innumerable peoples’ movements in untied India etc. After we were given some relaxation in the jail and shifted to B Class, we began to pay attention to other branches of knowledge besides being asked to pursue the case in the special court. G.M. Lone had interest in mysticism (tasawwuf). We also began to read books on history and mysticism and sometimes would conduct discussions on their themes. We studied the work of Data Ganj Bakhsh Ali Hajweri’s famous work Kashfu’l Mahjub and Bhat Sahib used to present commentaries on it. Being that young, I didn’t actually understand those commentaries but now that I am grown old I still keep that book under my pillow. When I read its excerpts, I am reminded of Bhat Sahib and I recollect his commentary on it. He invariably rejected the attack of tribesmen in 1947. He said “that the feudalists of Pakistan of those days, Qayyum Khan of NWFP, and former President of Azad Kashmir namely Sardar Abdul Qayyum Khan and others were responsible for frightening Maharaja Hari Singh into acceding to India. On 14 and 15 August, 1947 Pakistan and Indian dominions came into existence. Independence of the State of Jammu and Kashmir continued till 27 October 1947. If the attack on Kashmir on 22 October 1947 under the leadership of Major Khurshid and General Akbar had not taken place, Maharaja Hari Singh would never have acceded to India nor would have the Indian army entered Kashmir.” He also believed that if the State had been fully integrated into India or Pakistan, the people of that State would not have to suffer as much as they suffer today. He had the firm conviction that the consequences of partition of India would lead to enormous suffering of the people to whatever religion or creed or community they belonged to. He said “that most of the resources in the two countries would be expended on military preparations’ abandoning the masses of people to penury and destitution.” Bhat Sahib went to the extent of predicting “that arms race on the sub-continent would prompt both countries to seek nuclear weapons”. Addressing directly those who were for accession to Pakistan, he would say that “if Kashmir was the jugular vein of Pakistan then Pakistan should occupy Kashmir by force of arms.” He confidently asserted that India would never attack Azad Kashmir or Gilgit Baltistan nor would the two countries be willing to surrender even an inch of land of Kashmir. We often told him that 80 per cent of the Muslim population in Kashmir wanted Pakistan and the remaining 20 per cent of non-Muslims of the State would want to be with India. As far as the people in Azad Kashmir and Gilgit–Baltistan, they could think of nothing other than Pakistan. He would try to solve any problem that was brought to him by the jail inmates. He would usually write applications for them. If a prisoner requested for something, he would make a promise to sort out the problem even if he had nothing in hand. As we were required to attend the Special Court every day, Bhat Sahib would hand over a list of requirements to one of the acquaintances who happened to be there at the court. He would direct him to buy the things listed like cigarettes, fruits and other things of daily use. This would create a problem in the jail sometimes. Once, the jail superintendent made a complaint to the court that Bhat Sahib buys sugar, onions and fruit for the prisoners. On hearing this, he stood up in the court and said that he was not bringing any drugs or intoxicants. Is it forbidden to give sugar to a prisoner? “He had neither hatched any conspiracy nor ever participated in the group of conspirators. He asserted that his character was transparent. He said that of course he was revolting against corruption, money-mindedness, exploitation, oppression, slavery and faithlessness.” “If the ruling clique of Pakistan, which has grown under the shadow of exploitative system, and which in turn is represented by the state bureaucracy and military dominance, consider my stand a conspiracy, it is no surprise to me. History tells us that whenever a movement was set afloat against exploitation and enslavement, the dominant rulers always took support of the term “conspiracy”. If these words spoken boldly in the court are analyzed dispassionately, then Maqbool Bhat rises as a person of revolutionary and innovative ideas, one who is passionately against oppression, enslavement and subjugation. He was a leader of extraordinary courage. It will be a stupendous task to put in black and white all fine qualities of Bhat Sahib, his dedication to the cause, his upbringing, his line of thought, his training etc. of which I have retained innumerable memories. These have to be brought to the people. Should God Almighty spare me time and opportunity, I intend to record all that passes my mind’s screen for our younger and future generations.